I must confess a fascination with cavemen. Not the fictional type, but the actual type. Human-like ancestors that may or may not have had a role in shaping humanity with their genetic peculiarities? That stuff fascinates me, even if I’m not sure finding a few bones or teeth is proof of an entire species of proto-humans. 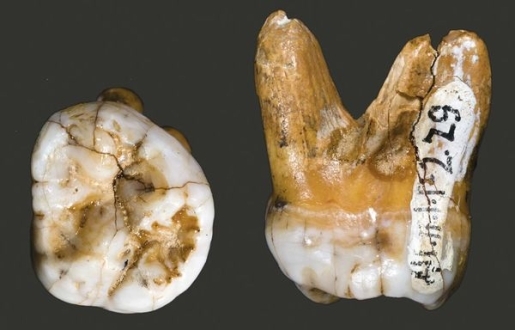 In Denisova cave in Siberia, researchers have discovered fossilized remains (a tooth and finger bones) of a new human-like species called the Devisovan. Shockingly, Devisovans might be something of a link between humans, Neanderthals, and others, as it is believed that Devisovans interbred with humans, had fertile offspring, then ended up migrating to what is now Papua New Guinea. Study co-author Bence Viola, an anthropologist at the Max Planck Institute for Evolutionary Anthropolgy in Leipzig, Germany, explains how the Denisovan DNA ended up in modern Pacific Islanders.